Continuing Education - Space Coast Association of REALTORS®. Below you will find information about continuing education requirements, courses and resources for REALTORS®. Please contact our education department at 321-242-2211 or via email for additional information. Courses offered at SCAR meet all the requirements of the Florida Real Estate Commission (FREC), as well as providing you with a solid understanding of the practices of the real estate industry. 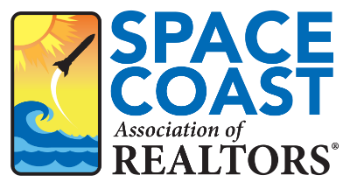 Members of the Space Coast Association of REALTORS® will receive discounts on most courses. SCAR provides its members with exclusive access to a wide range of professional development seminars throughout the year. The Professional Development Committee organizes high quality education programs. These seminars are one of most beneficial of all member benefits. License renewals can be verified online. Licensees can go to myfloridalicense.com to verify continuing education credits or submit a renewal application. Once education requirements are met and the application received, a license automatically renews the next business day. Read our instructional guide about viewing CE courses online. GRI courses can be used for continuing education credits and post-licensing credit. 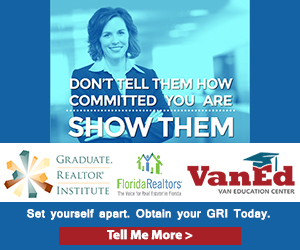 A GRI designation can lead to greater earnings and improves credibility with buyers and sellers. The National Association of REALTORS® and its affiliated Institutes, Societies, and Councils provide a wide-range of programs and services that assist members in increasing skills, proficiency, and knowledge. Designations and certifications acknowledging experience and expertise in various real estate sectors are awarded by NAR and each affiliated group upon completion of required courses. Visit the National Association of REALTORS® website to view available courses. This coursework must be completed within the two years before your license renews again. This above mentioned only changes if you get your Broker license. After passing your Broker State Exam, you will be required to take 60 hours of Broker Post Licensing before your license expires. Once that has been completed, you will be required to take 14 hours of CE every two years when you renew your license.